A common theme in our collections is the blurred line between professional and personal correspondence. Relationships that start out as work collaborations evolve into friendships that last lifetimes. Many times, it is shown through a warm salutation or a final paragraph giving updates on one's family. Since it is the holiday season, we've pulled out some Christmas cards that illustrate those personal connections. 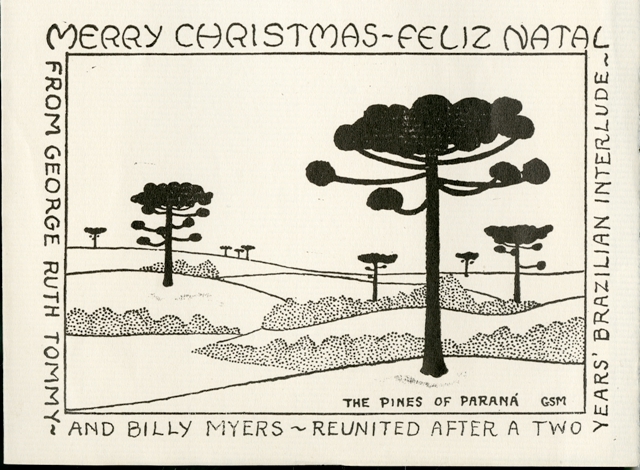 Some show off the sender's artistic talents, as with George Sprague Myers' original work depicting the Pines of Parana. Myers, an ichthyologist and herpetologist, had just returned to the States after serving as a special professor of Ichthyology at the Museu Nacional in Rio de Jeneiro. 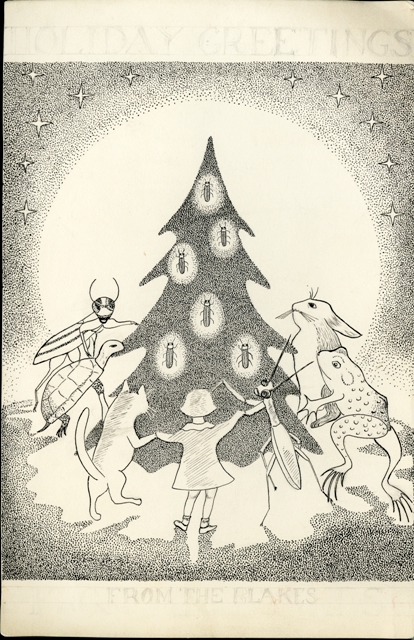 Doris Holmes Blake, an entomologist with the USDA, drew a Christmas tree lit by fireflies and surrounded by admiring creatures. Other examples use photography to send holiday wishes. 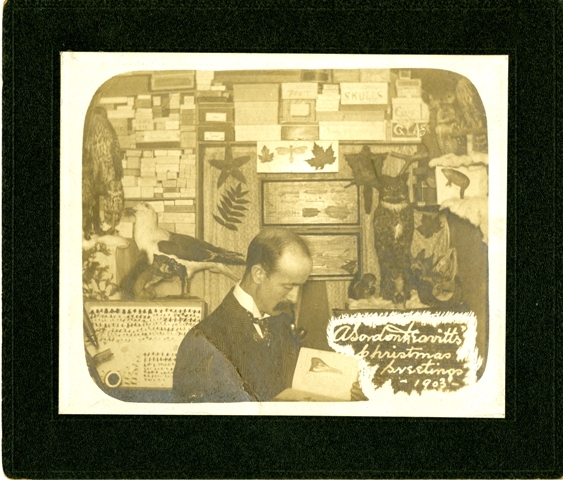 William Harris Ashmead sent out a photo of himself with his collections. The S. Dillon Ripley (eighth Smithsonian Secretary) family (above) went to great lengths to mimic the first Smithsonian Secretary Joseph Henry's family portrait (see below). Personally, I like photographer Fremont Davis' idea. 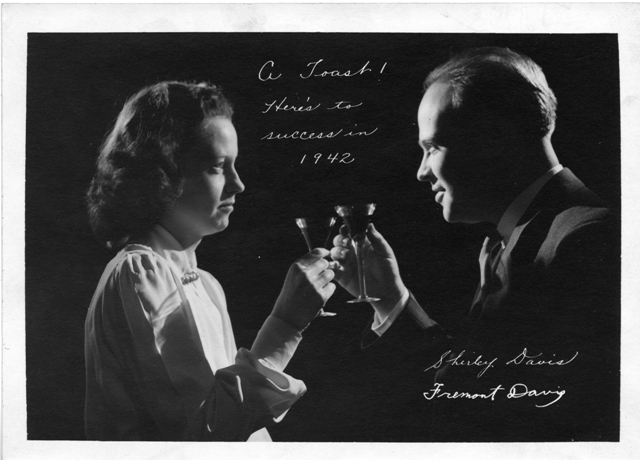 Cheers from the Smithsonian Archives, and have a great holiday season!